CRK-TPE INAUGURAL 2 L-R): AirAsia Philippines CEO Capt. Dexter Comendador, TECO Deputy Representative Minister James Chu, Clark International Airport Corporation President Alex Cauguiran, AirAsia Philippines Chairperson Maan Hontiveros and event host. 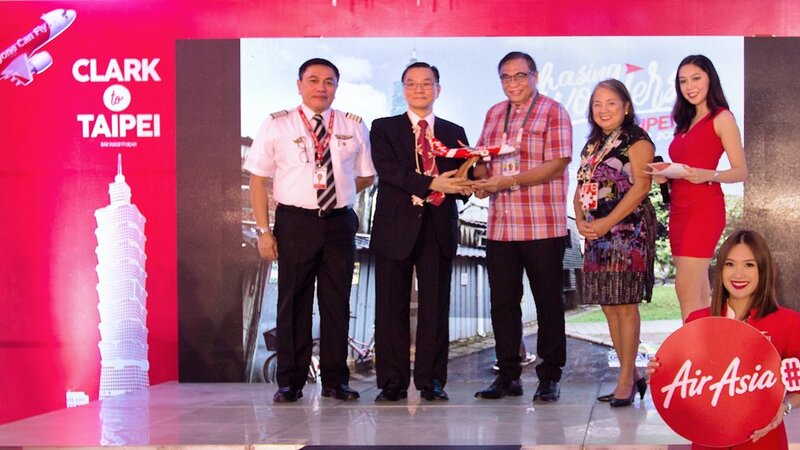 CLARK, Pampanga, 12 July 2018 - AirAsia, the World’s Best Low Cost Carrier, is officially painting Clark skies red with the airline's first international route from Clark airport.